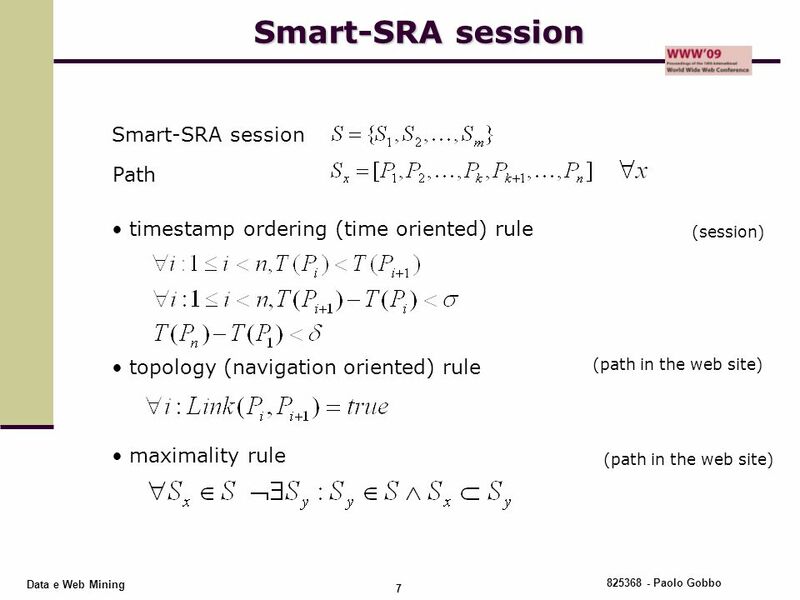 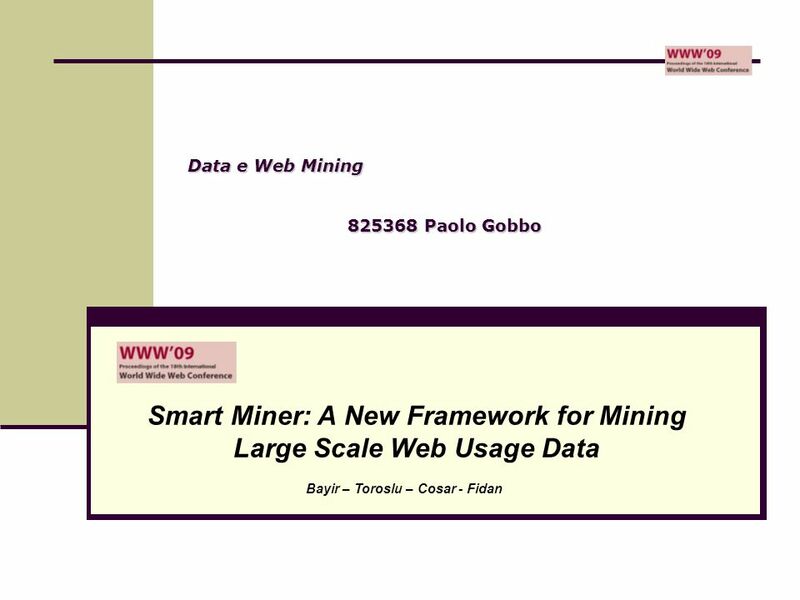 Download ppt "Data e Web Mining Paolo Gobbo"
Integration of association rules into WUM Bastian Germershaus. 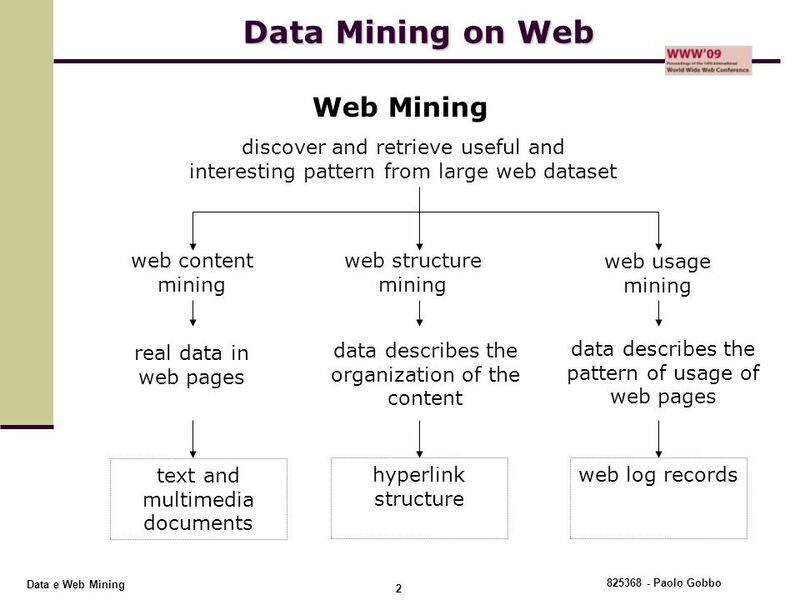 WEB USAGE MINING FRAMEWORK FOR MINING EVOLVING USER PROFILES IN DYNAMIC WEBSITE DONE BY: AYESHA NUSRATH 07L51A0517 FIRDOUSE AFREEN 07L51A0522. 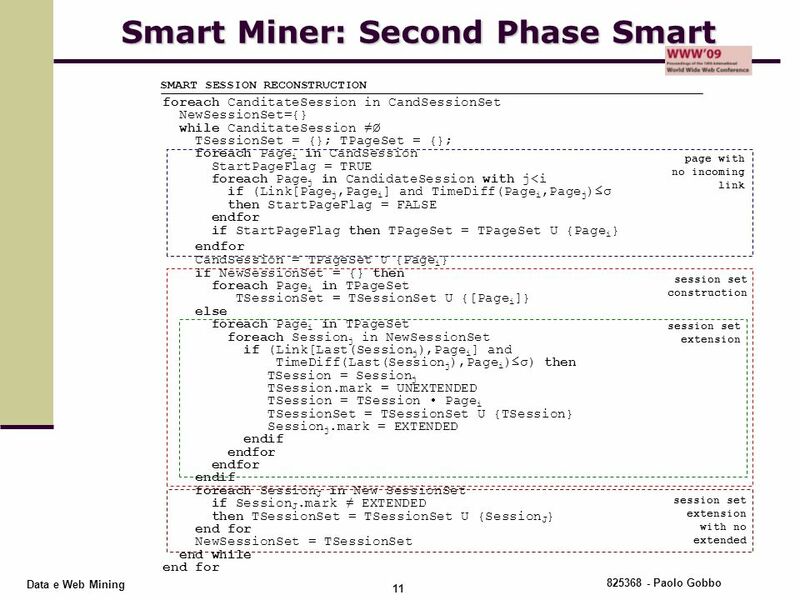 Frequent Itemset Mining Methods. 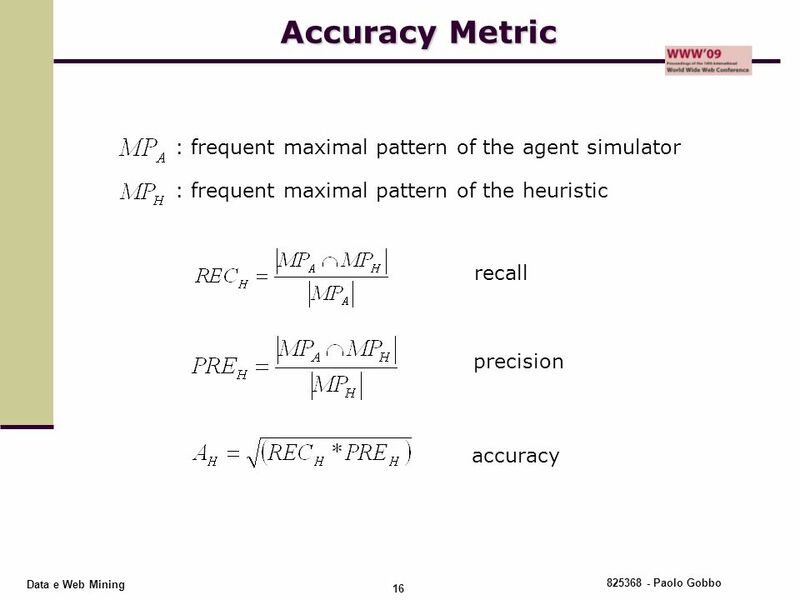 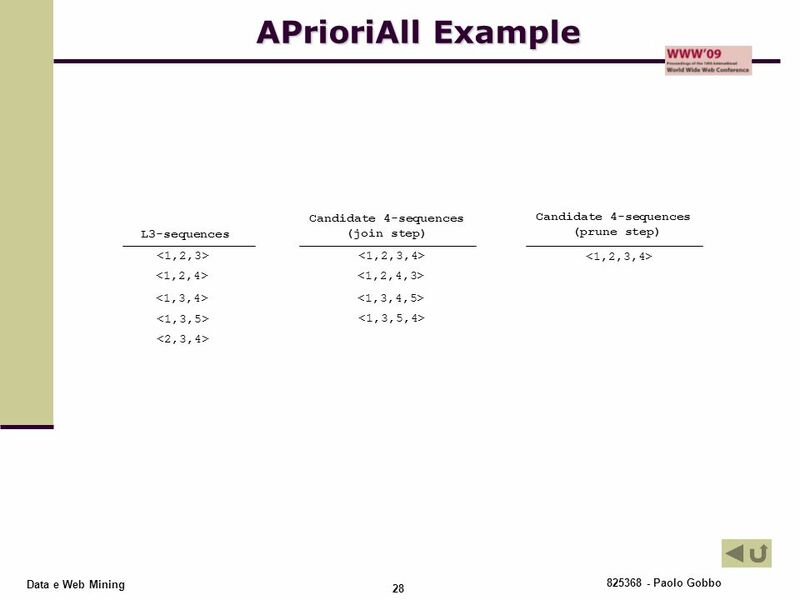 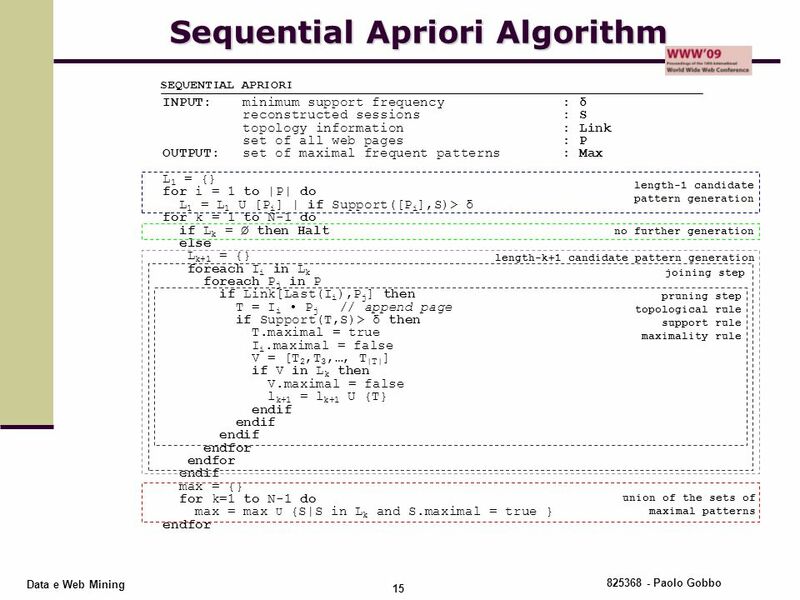 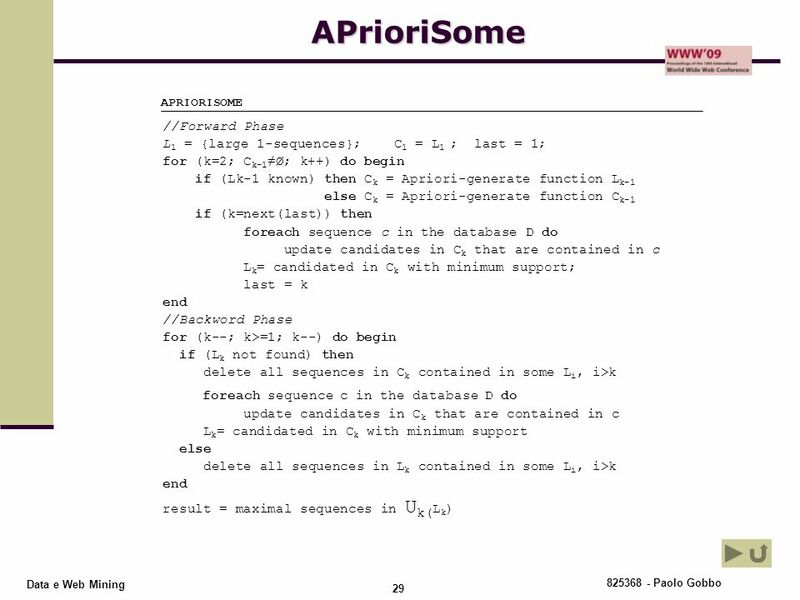 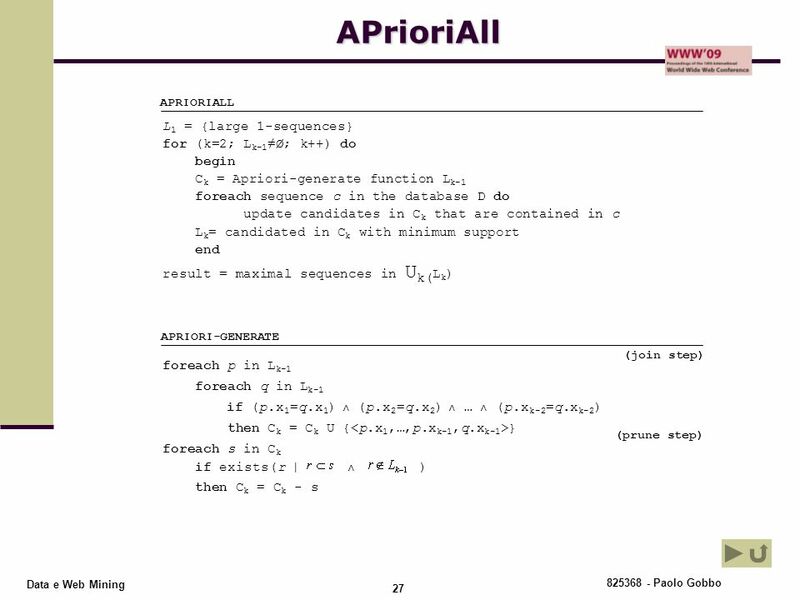 The Apriori algorithm Finding frequent itemsets using candidate generation Seminal algorithm proposed by R. Agrawal and. 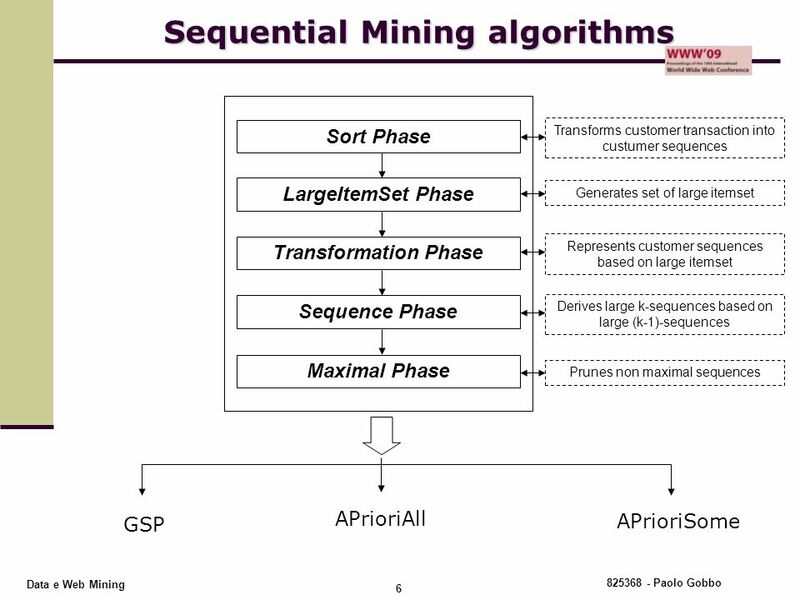 Data Mining (Apriori Algorithm)DCS 802, Spring DCS 802 Data Mining Apriori Algorithm Spring of 2002 Prof. Sung-Hyuk Cha School of Computer Science. 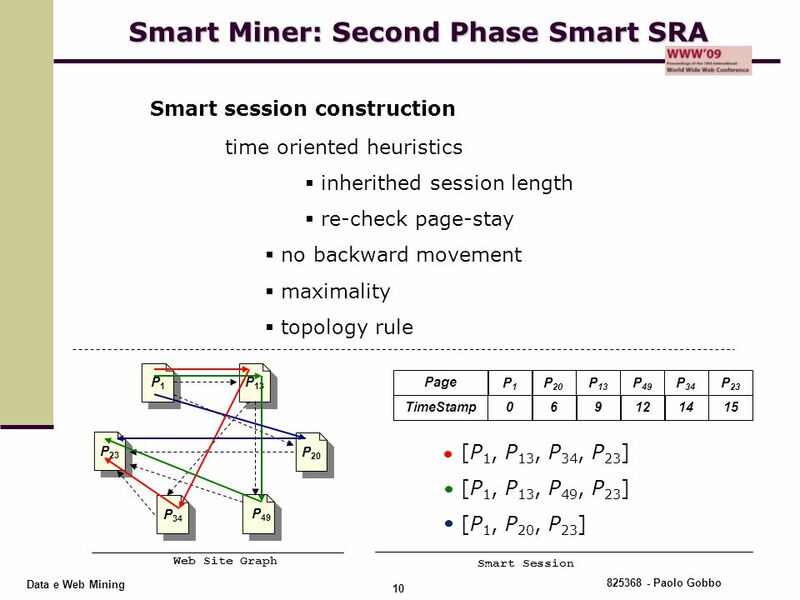 Mining Frequent Patterns II: Mining Sequential & Navigational Patterns Bamshad Mobasher DePaul University Bamshad Mobasher DePaul University. 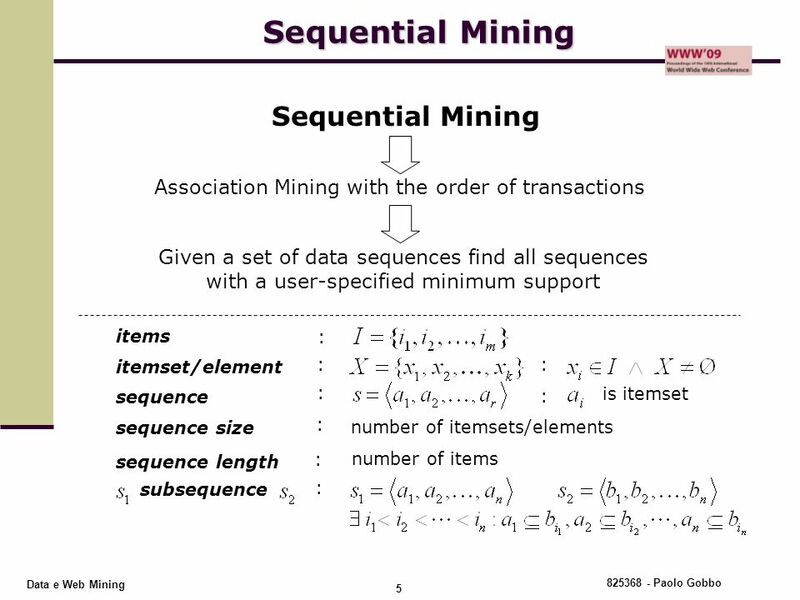 Mining Sequential Patterns Authors: Rakesh Agrawal and Ramakrishnan Srikant. 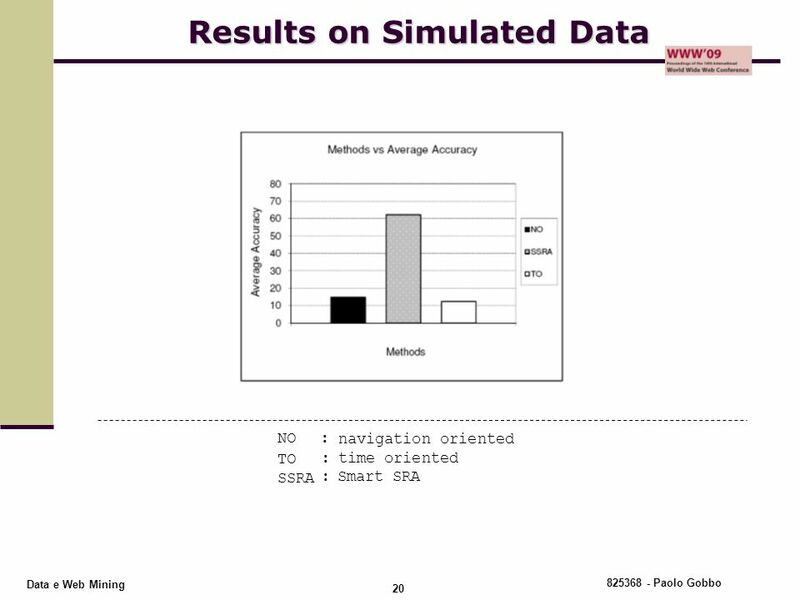 Presenter: Jeremy Dalmer. 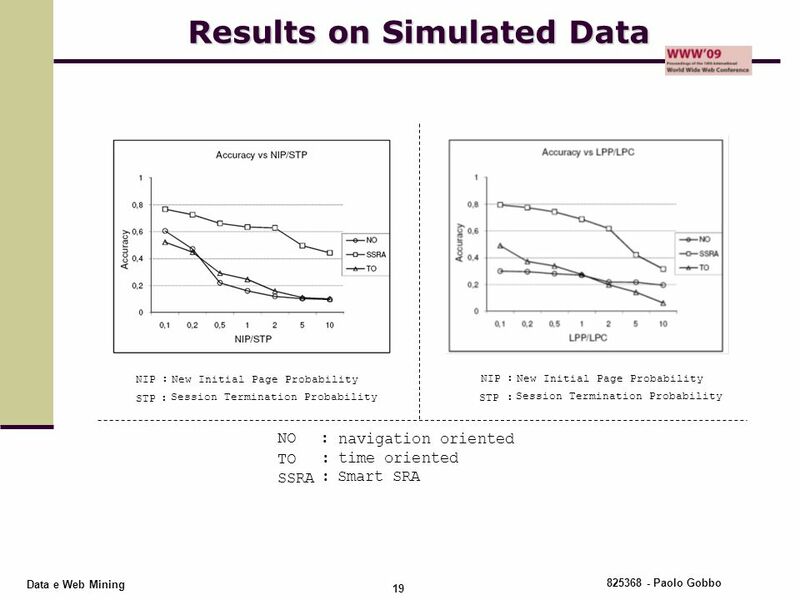 Chase Repp. 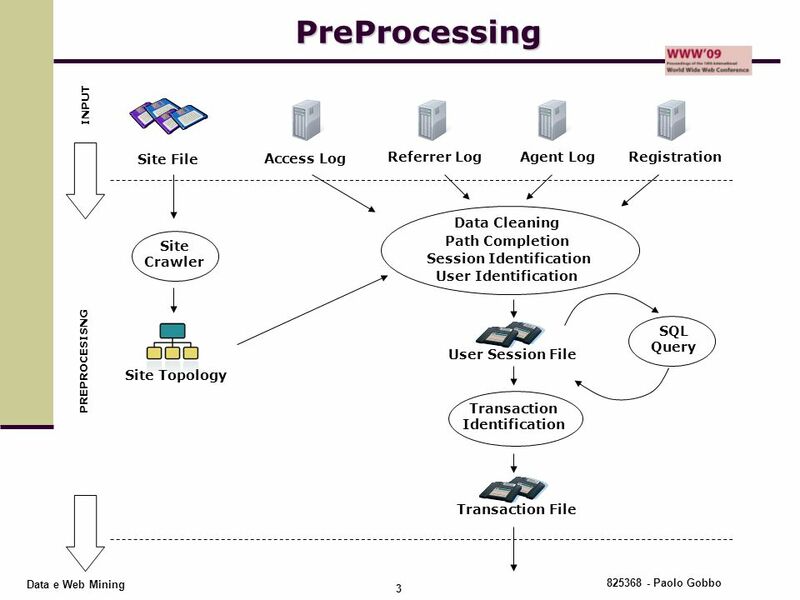  knowledge discovery  searching, analyzing, and sifting through large data sets to find new patterns, trends, and relationships contained. 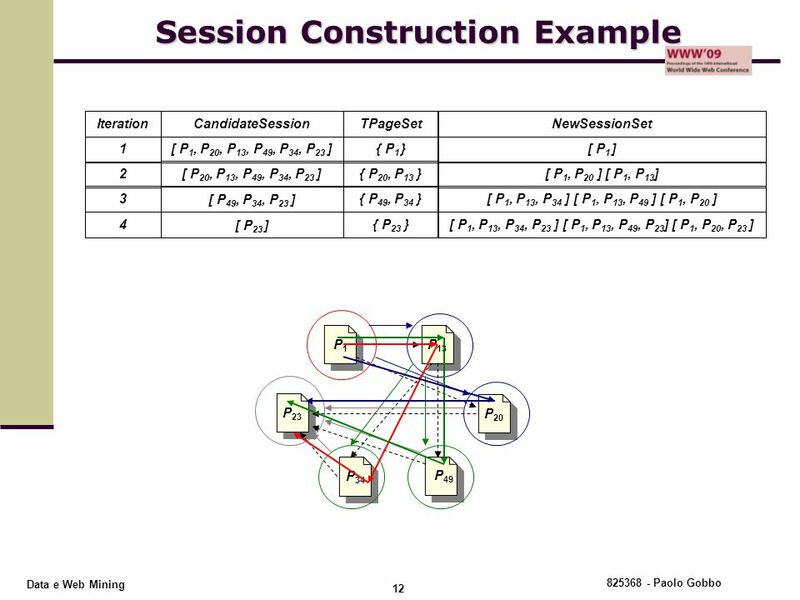 Data Mining Techniques Cluster Analysis Induction Neural Networks OLAP Data Visualization. 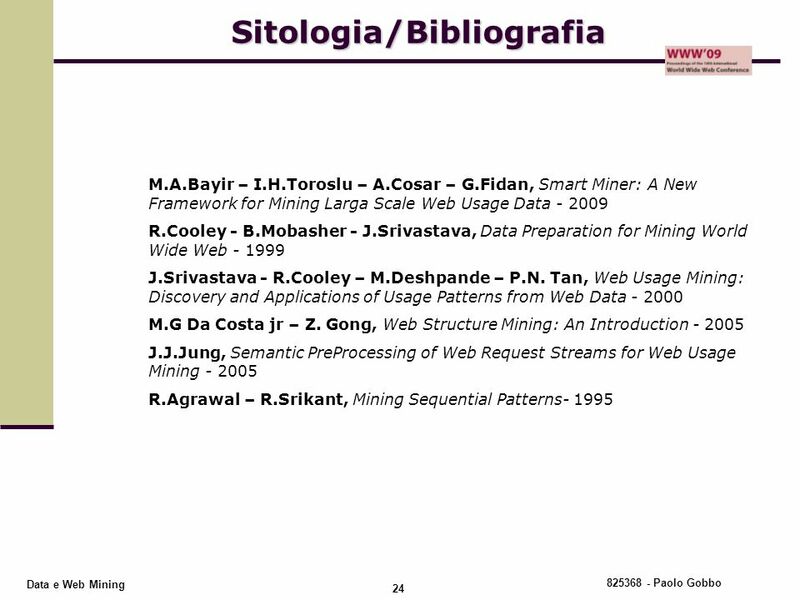 WebMiningResearch ASurvey Web Mining Research: A Survey Raymond Kosala and Hendrik Blockeel ACM SIGKDD, July 2000 Presented by Shan Huang, 4/24/2007. 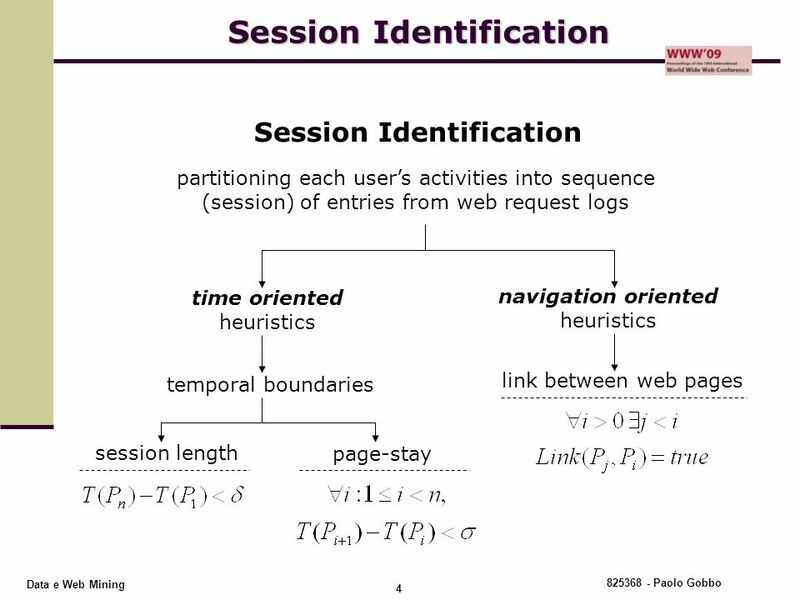 WebKDD 2001 Aristotle University of Thessaloniki 1 Effective Prediction of Web-user Accesses: A Data Mining Approach Nanopoulos Alexandros Katsaros Dimitrios. 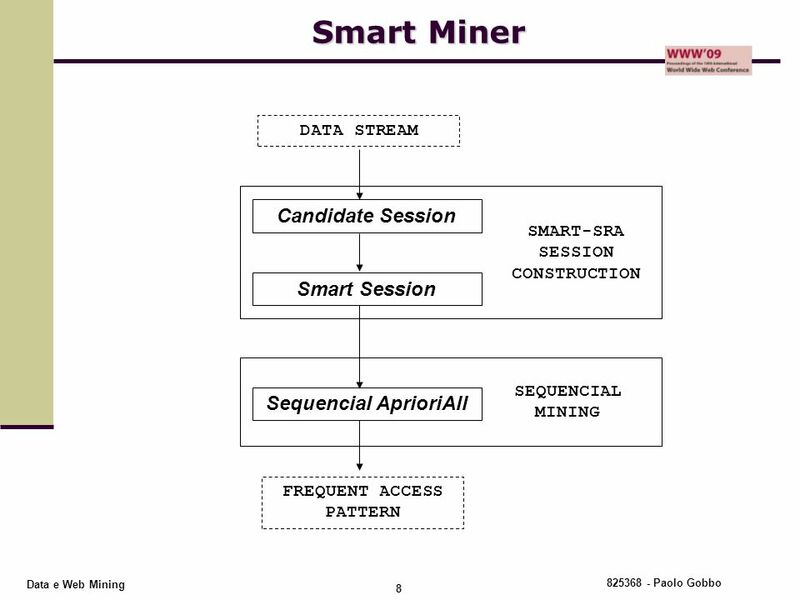 4/3/01CS632 - Data Mining1 Data Mining Presented By: Kevin Seng. 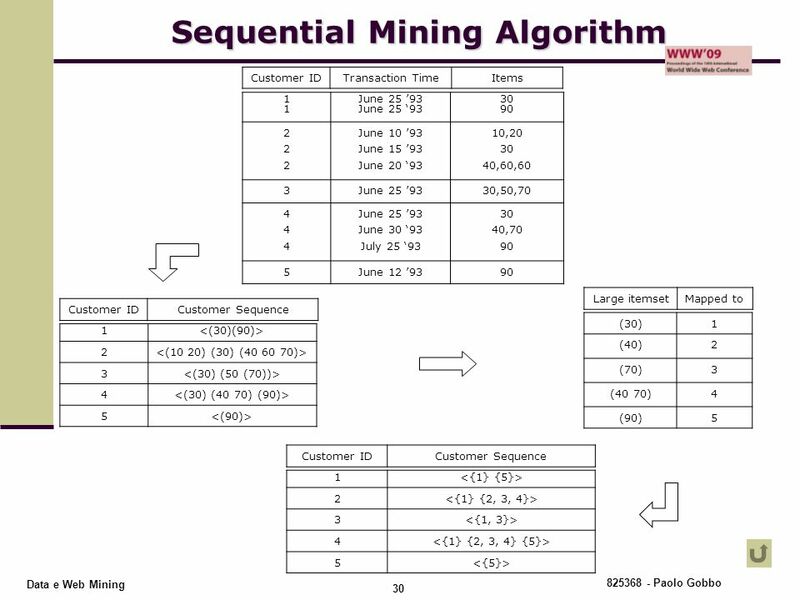 Mining Sequential Patterns Rakesh Agrawal Ramakrishnan Srikant Proc. 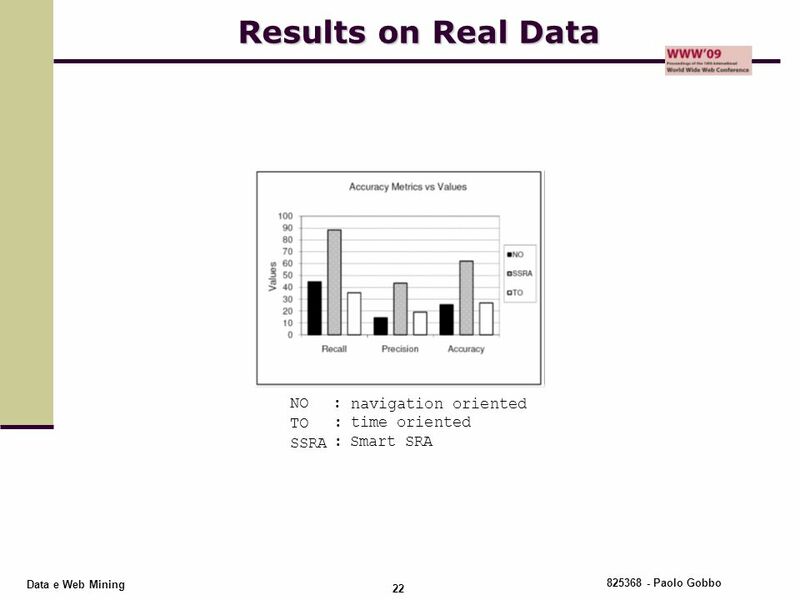 of the Int’l Conference on Data Engineering (ICDE) March 1995 Presenter: Phil Schlosser. 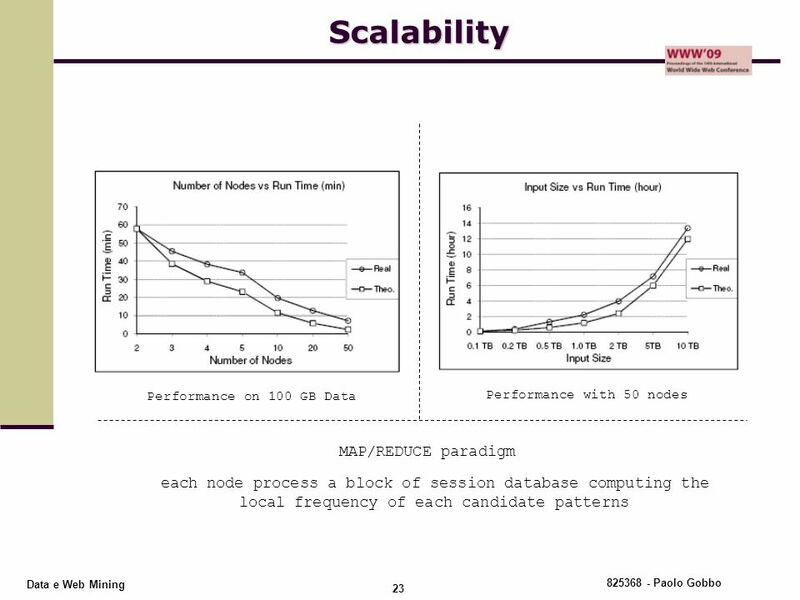 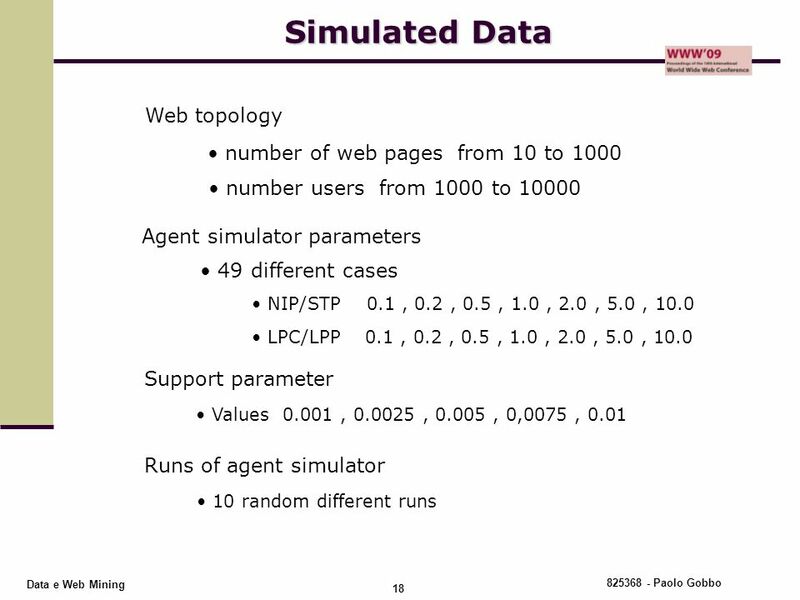 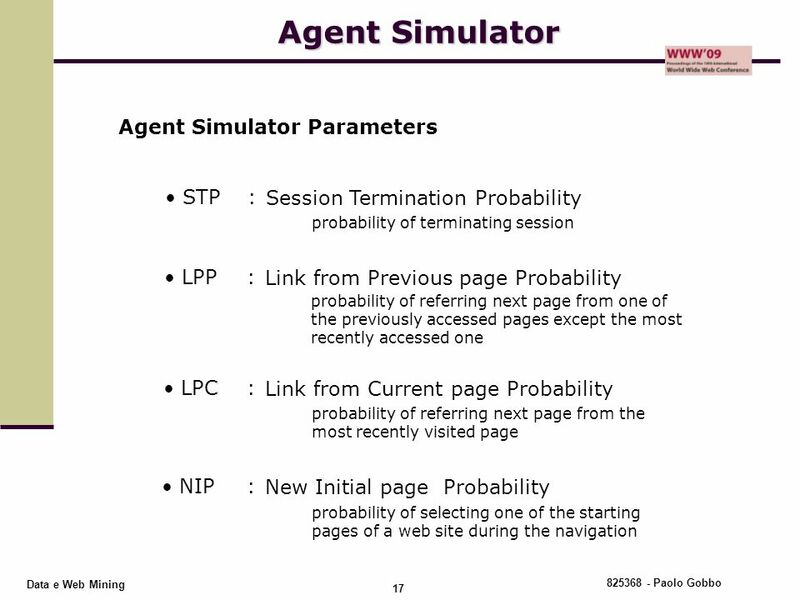 LinkSelector: A Web Mining Approach to Hyperlink Selection for Web Portals Xiao Fang University of Arizona 10/18/2002. 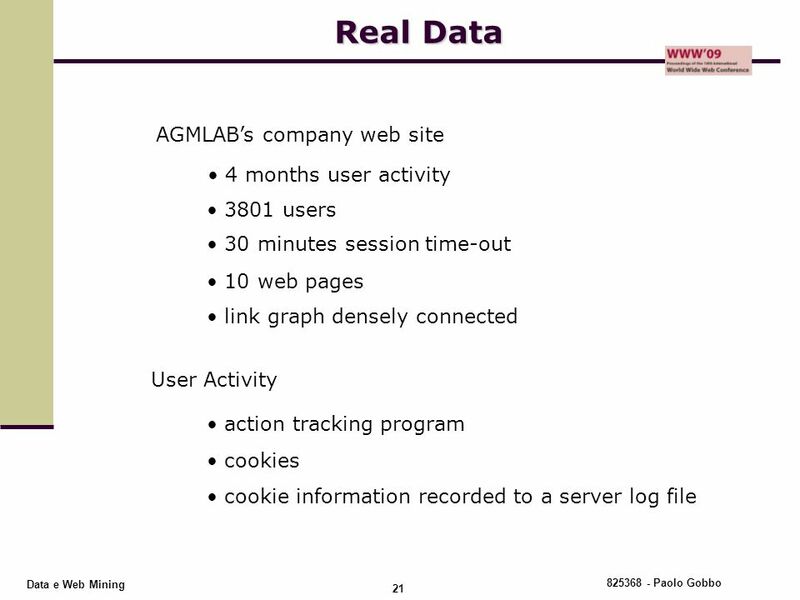 The Web is perhaps the single largest data source in the world. 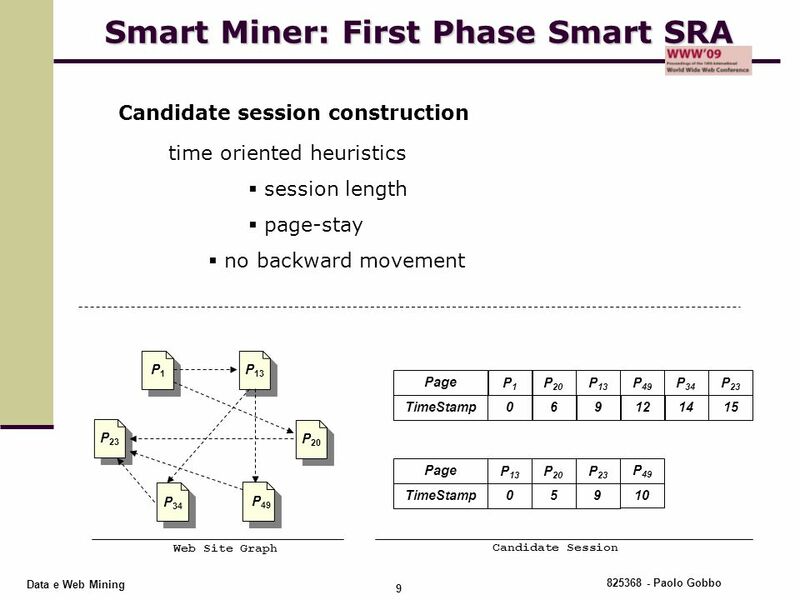 Due to the heterogeneity and lack of structure, mining and integration are challenging.